Well hello there! Let your beloved bundle of joy make his or her own introductions – with a decidedly modern flair. 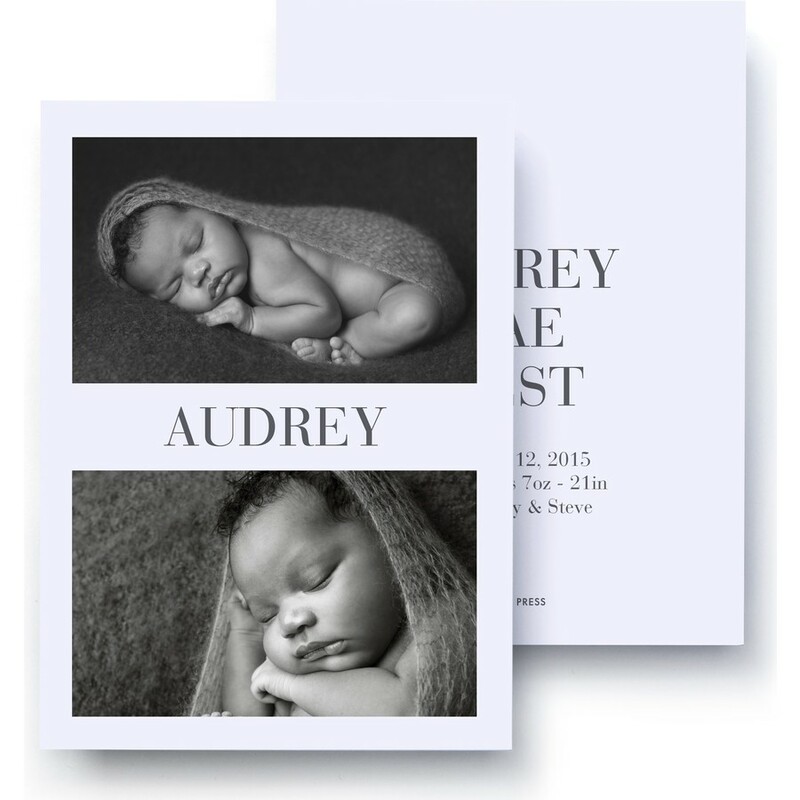 Printed on beautiful 100 % recycled paper, our birth announcement’s classic white-framed format is simplicity itself. 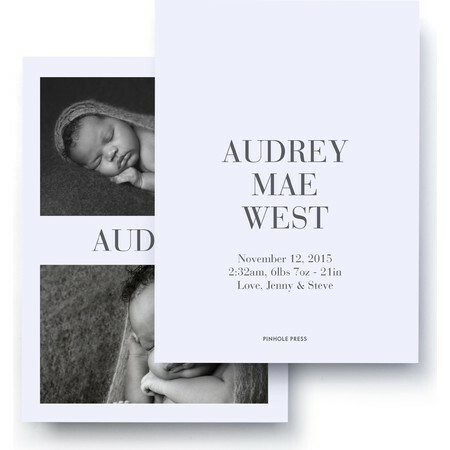 All you need are some favorite photos – it’s that easy.